As 2017 draws to a close, we are feeling particularly festive over here at Jubel. This is a time to reflect on the past year’s events, and to look forward to all that is to come in the next year. Contemplating this fact, we realized we never want the festivities to end, and, indeed, they never have to! Looking forward, we have selected some of our favorite festivals from around the world to ensure that there is no stop to the celebration and joy. 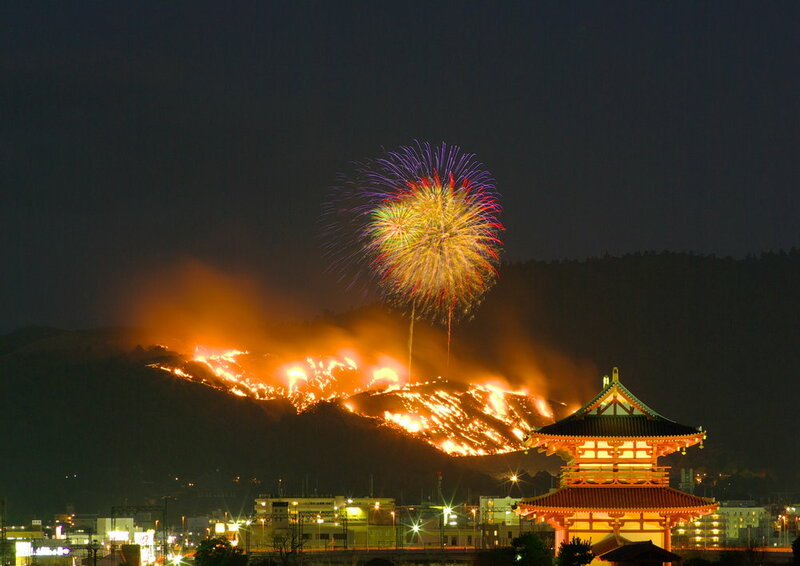 Wakakusa Yamayaki is a “mountain roasting” festival that takes place every year in Nara, Japan. “Mountain roasting” literally means the burning of an entire mountain - Mt. Wakakusayama - which sits at the eastern end of the beautiful Nara Park and can be seen throughout the entire city. This tradition has been going on for hundreds of years and takes place on the 4th Saturday of January every year. There are a number of theories as to the origins of this impressive festival, some say that the tradition began during boundary conflicts between various temples, and others believe that it was a way to drive away wild boars or harmful insects. Enjoy the various activities like rice cracker throwing competitions, Japanese drum workshops, archery and samurai demonstrations, delicious food stalls, and warm your soul from the cold with an amazing noodle soup at Nara’s Soup Market. The mountain roast occurs at nightfall after a spectacular firework show over the mountain. Sacred fire is carried in bamboo torches by Buddhist Monks from the Kasuga Shrine to the foot of the mountain, and so the impressive main attraction begins. 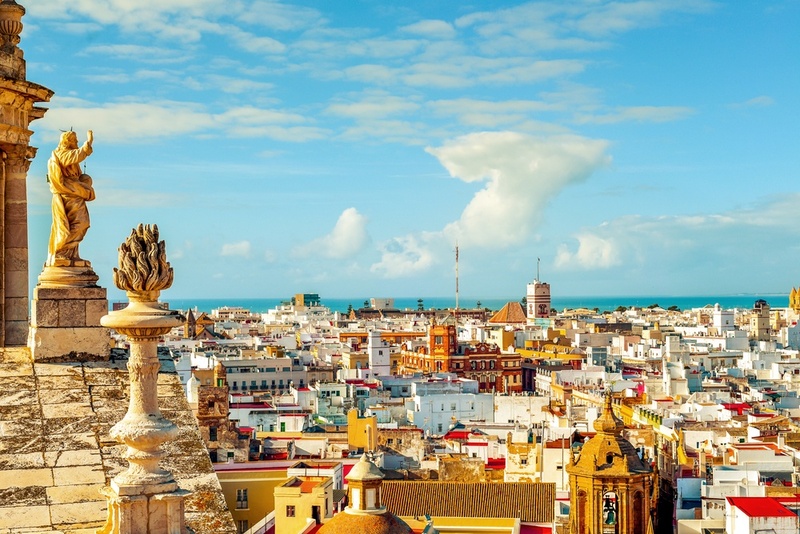 Cádiz is a beautiful, graceful and typically tranquil city that sits perched on the Andalusian coast. Once a year, the city’s gentle, small-town pace changes radically with one of the loudest, most colorful, elaborate, and fun carnival celebrations in all of Europe. Cádiz claims to have the oldest carnival celebration in all of Spain, dating back to the 16th century. The reason for this is that the city was an important trading partner with Venice, where carnival originated. Cádiz was influenced by the Venetians’ glamorous event, yet did not copy it, but instead adapted it to their own culture. 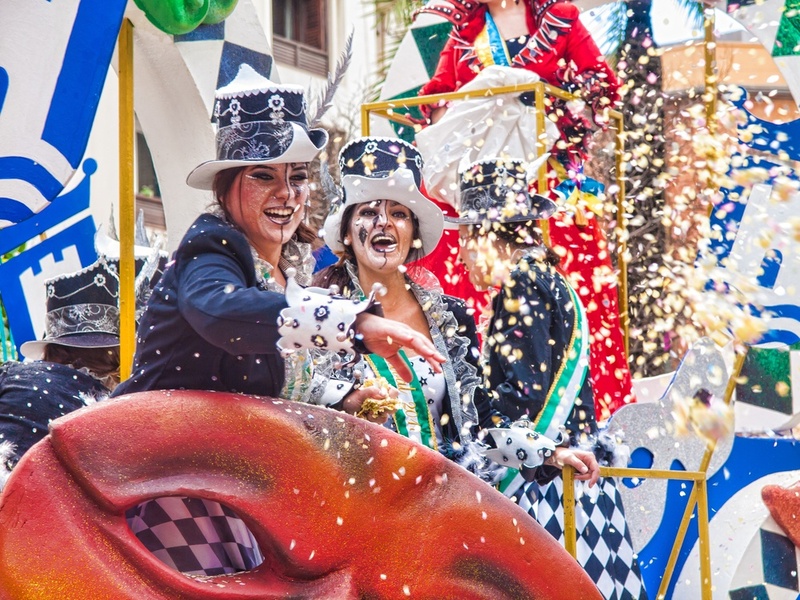 Although everyone dresses up and there are parades, Cádiz’s carnival is quite different from that of Venice in that it is less focused on glamour and more focused on wit and satire, and, of course, music. There are music competitions going on throughout the city many weeks before the actual festival. The city prides itself on how clever and imaginative its carnival, attire, and painted faces (rather than masks) are. Saturday is the biggest street party! Be prepared for the party of your lifetime in a completely local and cultural experience. This festival is well-known around Spain, but few foreigners actually make the trek down to Cádiz. Fun fact, during Franco’s regime, the dictator banned carnival, yet Cádiz resisted and has never stopped the party! Mongolia, a beautiful and largely undiscovered destination in Central Asia, is a wonderful country filled with amazing natural sceneries, cultures and traditions. The Khuvsgul Lake Ice Festival is a two-day annual tradition which takes place during the harsh winter, where temperatures can drop down to -35 degrees Celsius (-31 degrees Fahrenheit). 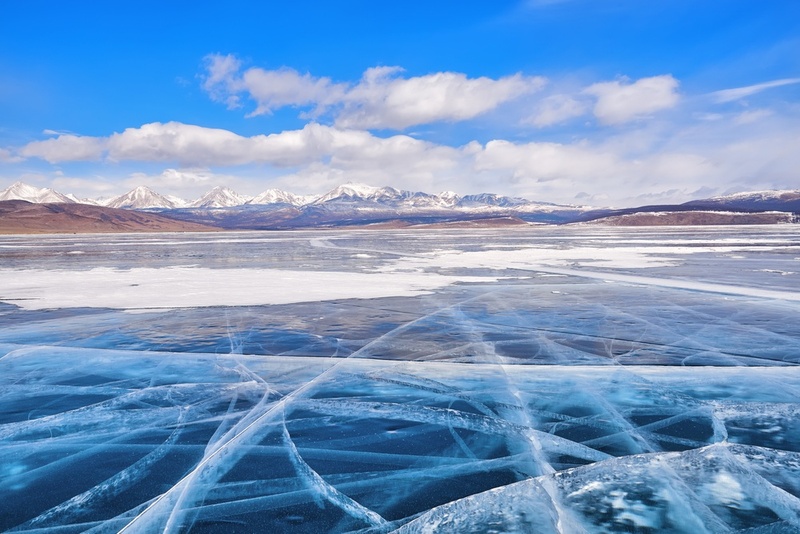 It is a wonderfully beautiful ice and snow covered festival that takes place on the completely frozen Lake Khuvsgul, Mongolia’s second largest lake, which is known as the Blue Pearl of the country because of its stunning crystal clear waters and ice. The festival includes impressive ice sculptures by award-winning artists, ice sumo wrestling, an international skating marathon, horse sleigh races, dog sledding, shaman ceremonies and offerings, and visits by nomadic reindeer herders called Tsaatan. 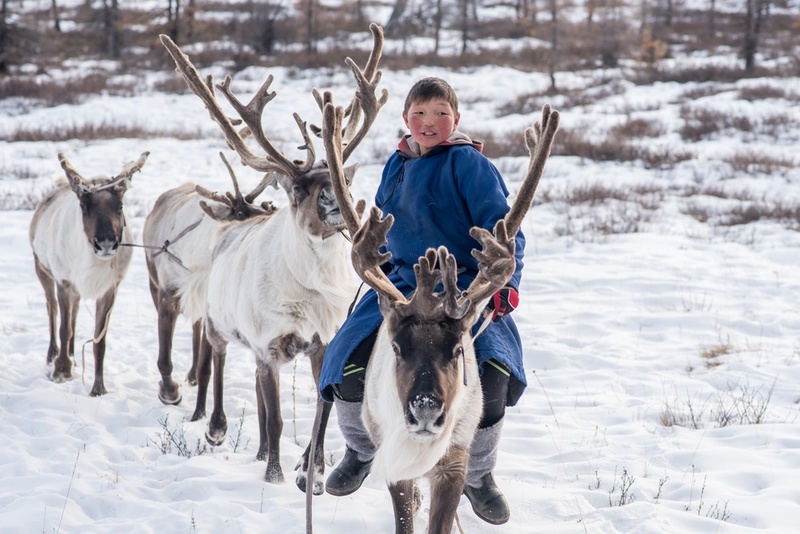 Experience these fun activities in one of the most beautiful frozen lakes in the world, admire the locals’ amazing winter clothing and the stunning decorations on the Mongolian horses, and learn about the nomadic traditions of the Tsaatan. Finally, enjoy a warm meal in a yurt on top of the lake while you rest from the cold. *March is truly a special month in Mongolia with two of the largest festivals taking place days apart, the Ice Festival on the 3rd and 4th of March and the Bactrian Camel Festival from March 6th to 8th, both of which are equally beautiful and cultural experiences. If you can, go to both! 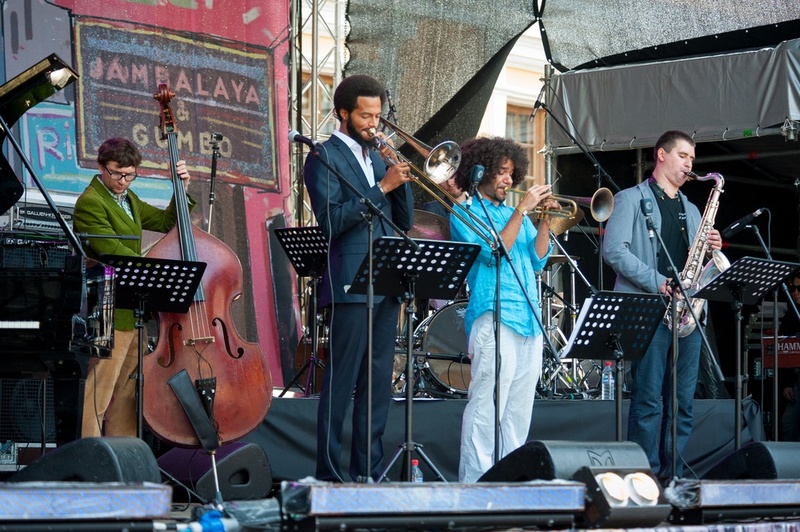 New Orleans is the hometown of jazz, so it only seems right that it should host one of the most important and impressive Jazz Festivals in the world. Amazing world-renowned bands of all genres associated with the city and state - including modern, traditional jazz, gospel, R&B, folk music, Latin, Afro-Caribbean, and even bluegrass - come to perform at this festival. Multiple bands play simultaneously on different stages. Furthermore, the festival is known for its Food Fair, where hundreds of local business stands serve all sorts of delicious, non-carnival, food. Enjoy fantastic dishes and crafts while listening to some of the best music in the world at a fun, popular, and spirited festival. Live New Orleans the way it is meant to be experienced. Vivid in Sydney is considered the world’s largest light show. 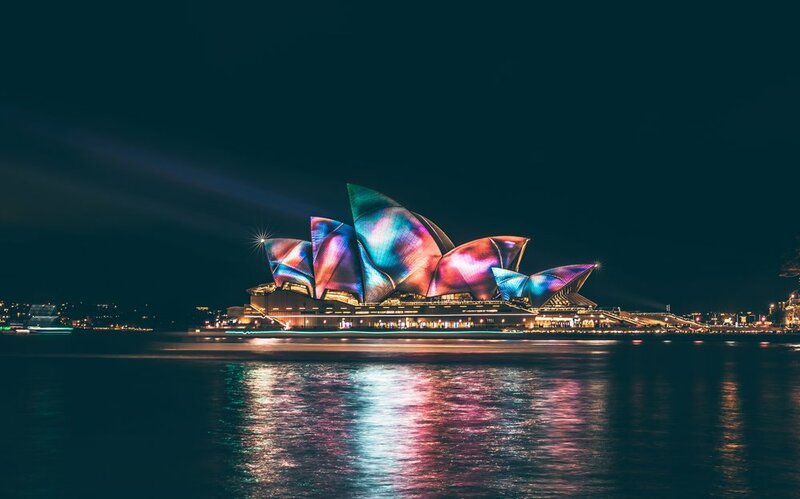 For a few weeks, the gleaming metropolis becomes and outdoor gallery - a canvas of colors - with extraordinary and dynamic light installations all throughout the city. Utilizing the latest projection technology, stunning and interactive sculptures, world-renowned contemporary music, and thought-provoking workshops and talks, this festival is a true sight to behold. 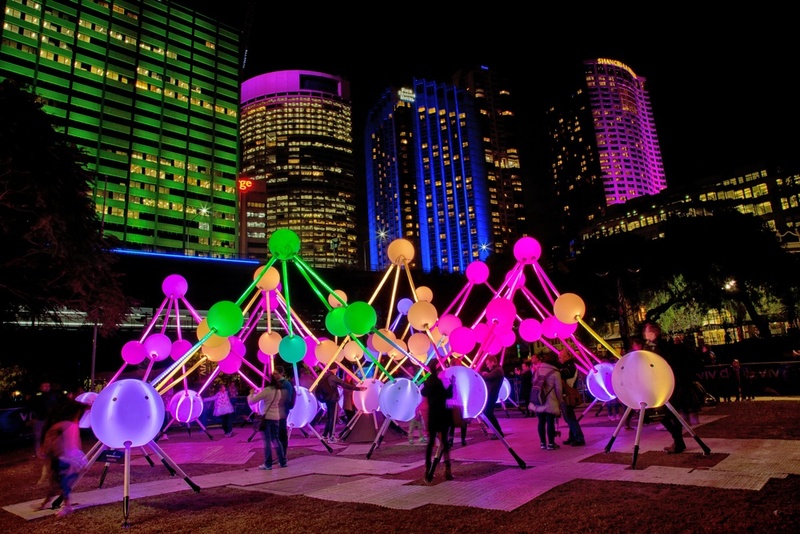 Vivid is a festival of light, music and ideas. Sydney becomes a magical place for three weeks in plain winter. Go get inspired in this amazingly beautiful, uplifting, and creative event. Swedish Midsummer is a celebration of life - an ancient pagan tradition celebrating the longest day of the year, the summer solstice. On this day, the light feels eternal and, in fact, in the North of Sweden the sun doesn’t set at all! Large cities empty out as everybody heads to large gardens, parks, and the suburbs to celebrate this tradition. Families, friends and neighbors come together to celebrate outdoors. 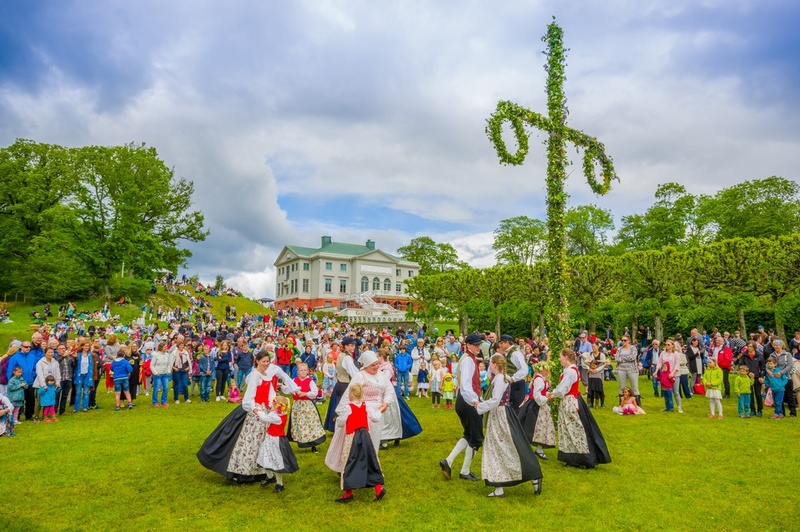 Enjoy a picnic on a large lawn and hear a live band play traditional Swedish music. Delight in traditional food and unlimited schnapps. Midsummer is the day Swedes let loose and allow themselves to dance like little children around the maypole while drinking like Vikings. Near Stockholm, you can head out to Skansen or any large public park. All small towns around Sweden have big celebrations, so you can go enjoy it anywhere! 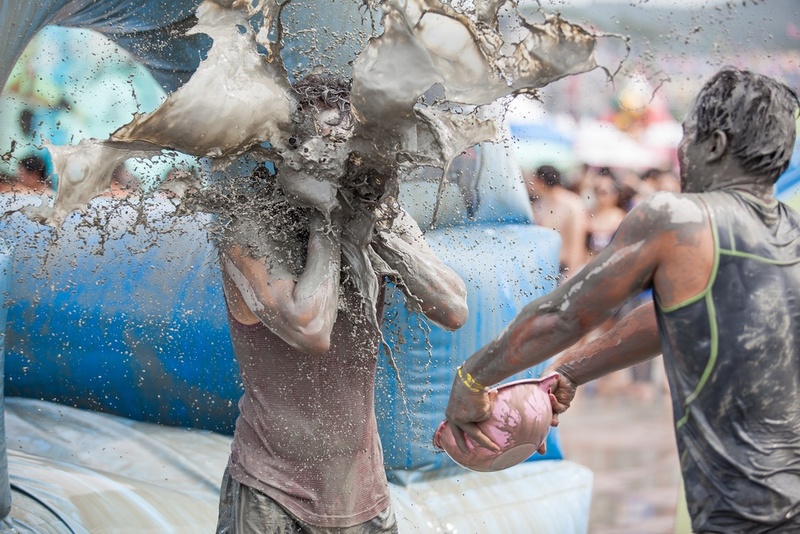 At the Boryeong Mud Festival in South Korea, enjoy mud everything - mud slides, mud wrestling, mud baths, mud games, even mud massages and therapies. This festival is a crazy, dirty and fun beach party that attracts a large number of visitors to South Korea every year. Enjoy the hot summer day playing around like a kid in the mud and then dancing and raving to K-pop and hip-hop at night. If you’re not looking to get your hands dirty, don’t go, or you’ll spend it in the mud prison alongside all the others who stay clean! The Bon festival in Japan, also known as Obon, is a 500 year old Buddhist-Confucian tradition similar in theory to the Mexican Day of the Dead. It is one of the most important traditions in the country. During this three day celebration, families get together to welcome their ancestors back to the family home. On the first day of the festival, all homes are beautifully decorated with lanterns or small fires to guide the spirits home from the land of the dead. People also gather to perform a dance called Bon-Odori in their traditional clothes. These dances take place in parks, gardens, shrines, and temples, and are originally meant to welcome the spirits of the dead. Anyone can join in and participate in the dances. 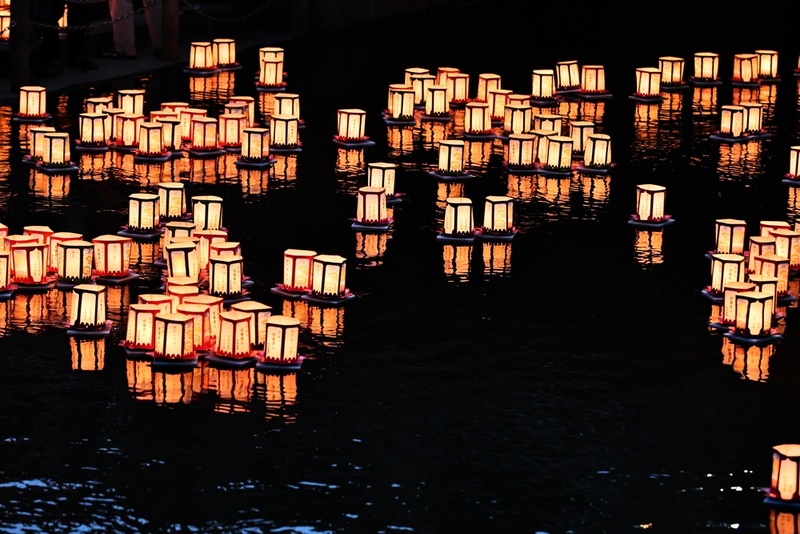 On the final day, the spirits are guided back to their realm with hundreds of floating lanterns on rivers, lakes, or the sea, closing the festival in the most tranquil, serene and beautiful of manners. Experience a deeply traditional festival and admire Japan decorated with hundreds of lanterns. The Whitianga Scallop Festival is one of New Zealand’s most iconic food festivals. For any foodie lover, this festival is a true paradise. Enjoy fresh scallops prepared in hundreds of different ways, and celebrate the magnificent taste of this delicious sea creature. Enjoy eating a large variety of scallops prepared by renowned chefs, partaking in cooking workshops and listening to local live bands. This is a completely local experience! 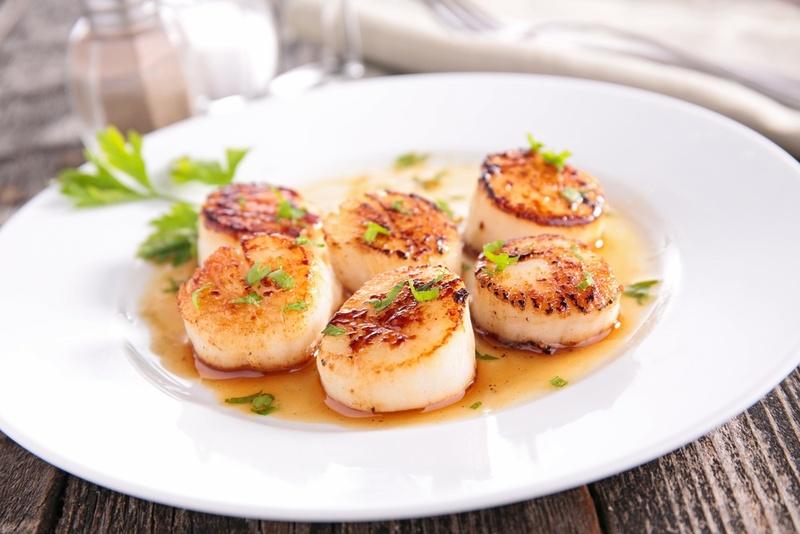 The mouth-watering festival is great fun and it is truly difficult to say no to scallops! Mexico has one of the most carnivalesque and beautiful festivals dedicated to the dead – El Dia de los Muertos, or the Day of the Dead. Rather than celebrating death, this two-day festivity is a celebration of the lives of those who have passed away. 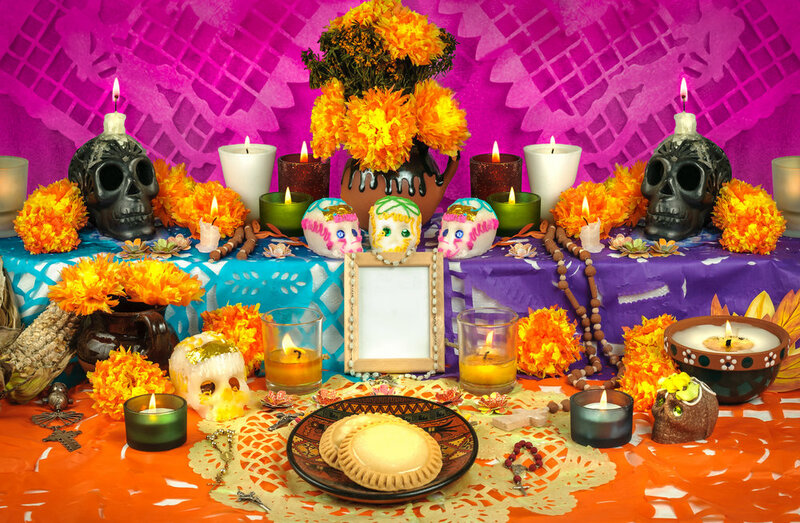 Characterized by its bright yellow marigold flowers, magenta and orange flags and tablecloths, its colorfully decorated sugar skulls, and its beautiful candle-filled altars, it is hard to find a more colorful festival around the world. At midnight on October 31st, it is believed that the gates of heaven open to allow the spirits of deceased children, called angelitos or little angels, to visit and reunite with their loved ones for a day. November 2nd is the day when the spirits of adults come to visit and enjoy the festivities and offerings. Families decorate the gravestones and come together to tell fun stories of the dead, and to partake in the favorite pastimes of those who have passed away. Some families even take televisions to watch the soccer match with their loved ones. Unlike Halloween, there is nothing morbid or scary about this holiday. Pátzcuaro and the surrounding areas like the island of Janitzio and Tzintzuntzan are some of the best places in the country to see the real traditions and the overload of colors. Enjoy the hundreds of food stands with traditional Day of the Dead sweets and pastries while seeing whole families happily gather at beautifully decorated graveyards celebrating those they have lost. It truly is a must see! 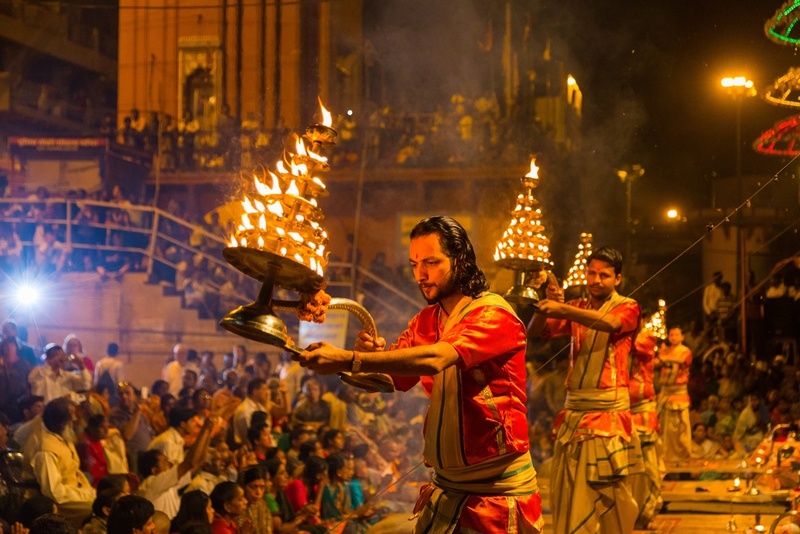 The Dev Diwali (Festival of Light of the Gods ) in Varanasi takes place a fortnight after Diwali (Festival of Light). This extraordinarily beautiful festival is celebrated during a full moon and honors the gods and goddesses which are thought to visit Earth on this day for a dip in the river Ganges. In celebration of the gods, millions of oil lamps are laid out around Varanasi, particularly on the famous ghats along the river. Thousands of pilgrims come from all over the world, offering candles and lanterns to the gods. The vivid lights all throughout one of India’s holiest cities is truly a breathtaking spectacle. Dev Diwali in Varanasi is an overwhelming and unforgettable cultural experience. 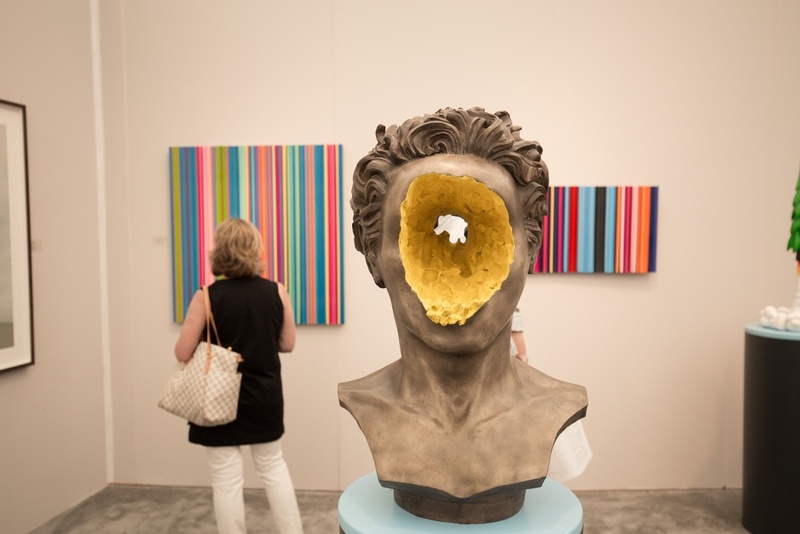 Art Basel is a contemporary arts fair that takes place in three cities around the world - one of which is Miami. Artists from all over the globe are represented in all types of mediums. Galleries all throughout the city participate in the art fair and many outdoor areas become open-air museums, exhibiting films, sculptures, paintings, etc. The entire city becomes a haven for artists, collectors, and anyone who appreciates the arts. Furthermore, the art exhibited often has a large emphasis on fusing the latest technology with the arts.